Students from Freedom High School handle yellow perch during a visit to the School of Freshwater Sciences at UW-Milwaukee. Credit: Sara Stathas. In a large lab filled with circular tanks, amid the sound of gently rushing water, nine students from Freedom High School gathered to learn about indoor aquaculture at the University of Wisconsin-Milwaukee School of Freshwater Sciences (SFS). 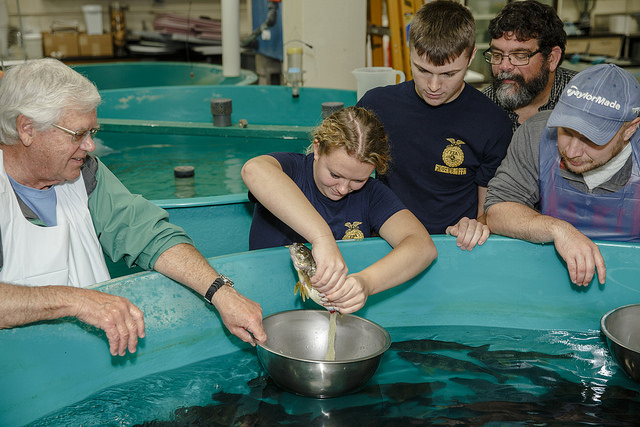 Their teacher, Kevin Champeau, brought them on Oct. 10 to visit Wisconsin Sea Grant Aquaculture Specialist Fred Binkowski, who is based at SFS. Champeau teaches several courses at the high school that focus exclusively on aquaculture. Binkowski brings many years of experience to the table. He has worked in fisheries science and aquaculture for about four decades and, on that blustery fall day, was eager to engage with the class, quickly learning their names and enlisting them in a hands-on activity. The students took part in an artificial spawning process with yellow perch. Binkowski and his colleagues induce perch to spawn out of cycle using a photothermal system (manipulating light and temperature). 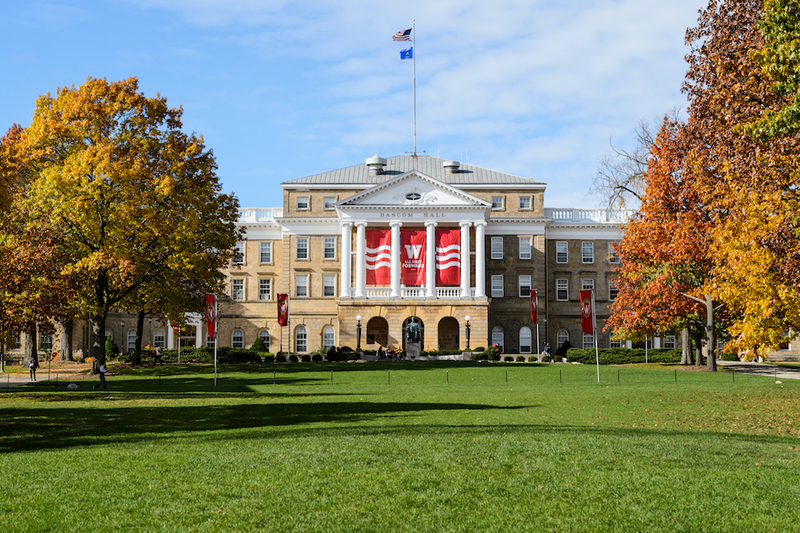 Binkowski received a patent in 2010 for this process, and the University of Wisconsin-Milwaukee Research Foundation manages the patented license technology. 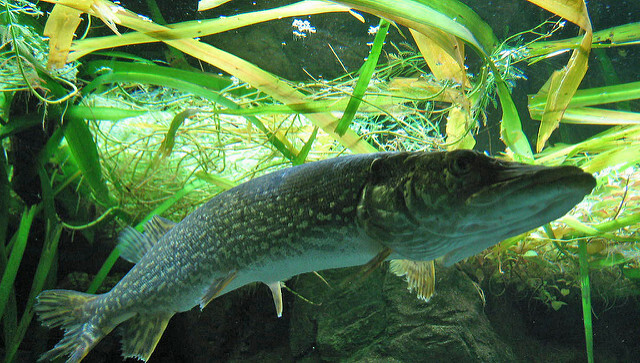 In the wild, these fish spawn in the spring, but invasive species have taken a severe toll on the yellow perch population in Lake Michigan. 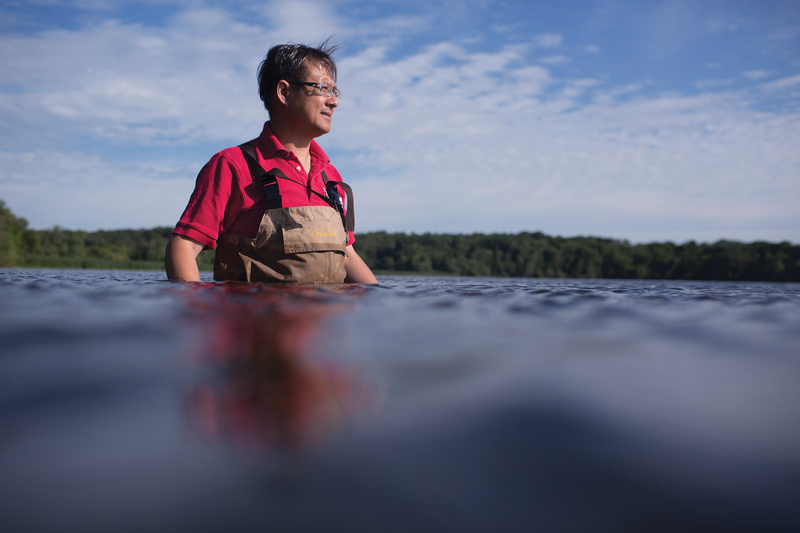 Yellow perch aquaculture can be one way to revive this sought-after food fish. After first asking the students who among them are avid anglers – a way to gauge which students will be confident handling wriggling fish – Binkowski coached them in collecting egg ribbons (also called “skeins”) from the females. Two females were lifted carefully from the tank and then held over stainless steel bowls to release their ribbons. “Let gravity do the work,” Binkowski advised the teens, as the pale, translucent yellow skeins dropped quickly into the waiting bowls. After repeating a similar process with two male fish, the material was mixed together for fertilization. Students gently decanted excess water from the bowls of now-fertilized egg ribbons before a lab technician bagged the ribbons for transport back to Freedom High. The students’ field trip included not only the hands-on perch demonstration, but also hearing from several other researchers and graduate students about the work they pursue, including Russell Cuhel, Carmen Aguilar, and Peter Shup, a Ph.D. student who showed the group another lab where young lake sturgeon are being raised. The connection between Champeau at Freedom High and Binkowski at Sea Grant goes back about 25 years. Binkowski considers Freedom’s aquaculture courses the “jewel” of aquaculture education in Wisconsin public schools. It is unusual to have courses that focus exclusively on aquaculture – as opposed to an aquaculture unit as part of a more general agriculture class – at the high school level. One enthusiastic sophomore said he hoped to study aquaponics in college and maintains an aquaponics system at home. Learning continued well after the students returned home to Outagamie County. While the eggs did not make it to the hatching stage – at first, they did well, but then turned black after about ten days – it gave the students a chance to discuss what they might have done wrong, and what they could try next time around. Binkowski and Champeau both look forward to continuing the connections between Sea Grant, Freedom High School, and the School of Freshwater Sciences. “Fred is always looking for ways to help us and make learning a better mechanism for kids to understand aquaculture and fisheries management,” said Champeau.